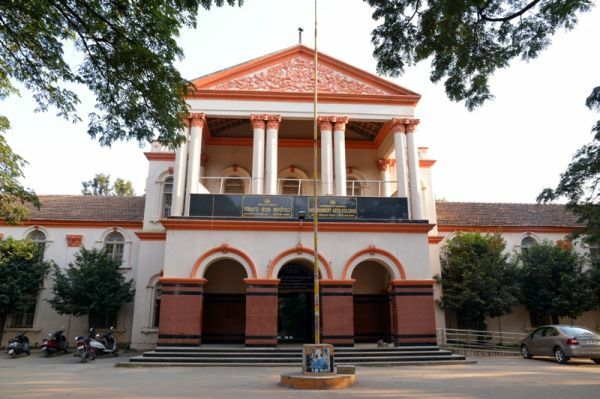 Govt Arts College was established in the year 1886. It is situated in the heart of the Bangalore city. During the British Rule it was known as the collegiate high school and was called the intermediate college. In the later period after 1958 it came to be famously known as GAS College. i.e.,Govt Arts & Science College. In 1971 Arts & Science was bifurcated. This college has played a vital role in transforming the youth into socially concerned and responsible citizens. Justice Nitoor Shrinivasa Rao was a student of this prestigious institution. The father of the nation Mahathma Gandhiji visited this college in 1915. The auditorium of the college is named after him. Most of the students of this college come from deprived castes and classes and sometimes are even the first generation learners. The college organizes various co-curricular activities to enable overall personality of its students.